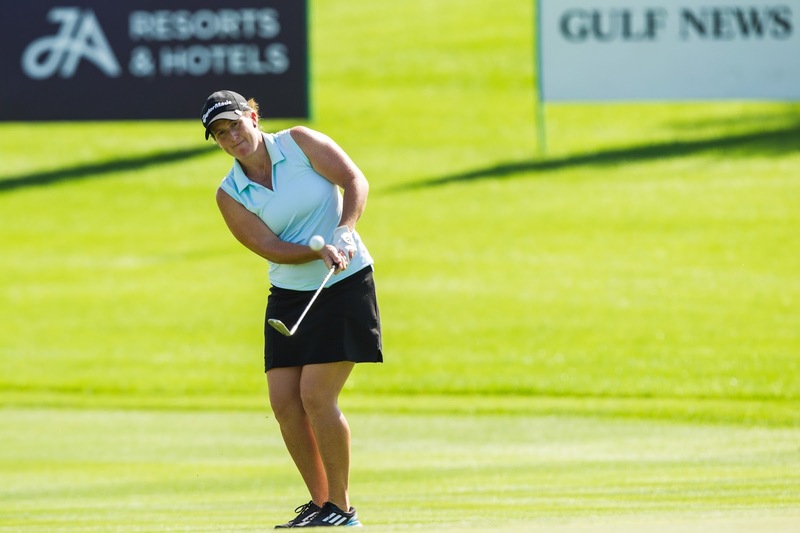 DUBAI, Dec 4 — Enjoying the form of her life, Beth Allen appears on the cusp of turning a fantastic season of golf into an epic one when she tees it up at the Omega Dubai Ladies Masters at Emirates Golf Club from December 7 to 10. With two wins and five further top-10 finishes from 15 starts on the Ladies European Tour (LET) this season, the affable American has already assured herself of the coveted Order of Merit title, but would be aiming to ice the cake with a victory in Dubai. “I am excited, I’ve been playing well and I wouldn’t mind another trophy. Winning the Order of Merit would be surreal,” said Allen, who won the inaugural Fatima Bint Mubarak Ladies Open in Abu Dhabi in November — her second title in the space of two months following her success at the French Open in early September. “I’ve always just done the best I can and sometimes I’ve had success and other times I haven’t. I’m going to keep doing what I’m doing and hopefully I will be able to end the season strongly,” said the 34-year-old San Diego native, who will be making her fifth appearance in Dubai. “It will be fun playing on the Majlis course which is always in awesome condition. The course offers plenty of scoring opportunities. It’s a tough course, but provides a fair test of golf,” said Allen, who has also moved a step closer to earning her LPGA Tour card, finishing solo sixth at nine-under on Saturday with one round to go in the Q-School Final Stage in Florida. “The Omega Dubai Ladies Masters is one of the biggest and most prestigious tournaments on the tour. The organisers look after us very well and so winning in Dubai where I have lots of friends would be special,” said Allen, who joined LET in 2008. “My love for the Ladies European Tour is great. So great that I’ve joined the Board to try and learn the ins and outs of the tour and share my thoughts on how we can make the tour better. Standing between her and a slice of history will be a strong international field, spearheaded by defending champion Shanshan Feng, who incidentally is the only player to have won both the Omega Dubai Ladies Masters and the LET Order of Merit title the same year, a feat she achieved in 2015. For a golfer who donated a kidney to her brother Dan in 2011, matching the rare Feng feat will be even more impressive. "I wanted to help, I had to help. My brother used to have zero social life. Now he's playing golf and enjoying his life. He's a completely different guy, it's awesome to see,” said Allen, who turned professional in 2005 after graduating from the California State University. Beth Allen’s health is good and so is her brother’s. It has worked out well, making Allen a superstar in her own right. The Omega Dubai Ladies Masters is backed by OMEGA as the title sponsor and Emirates Global Aluminium PJSC as sponsor. The co-sponsors are: CNN, Drydocks World & Maritime World, Emirates NBD, Gulf News, JA Resorts & Hotels, Mercedes-Benz and wasl, while Dubai Duty Free, Neocasa Interiors and Motivate Publishing are the Patrons in golf in DUBAi's drive to showcase the emirate's vibrant golfing scene to a worldwide audience.